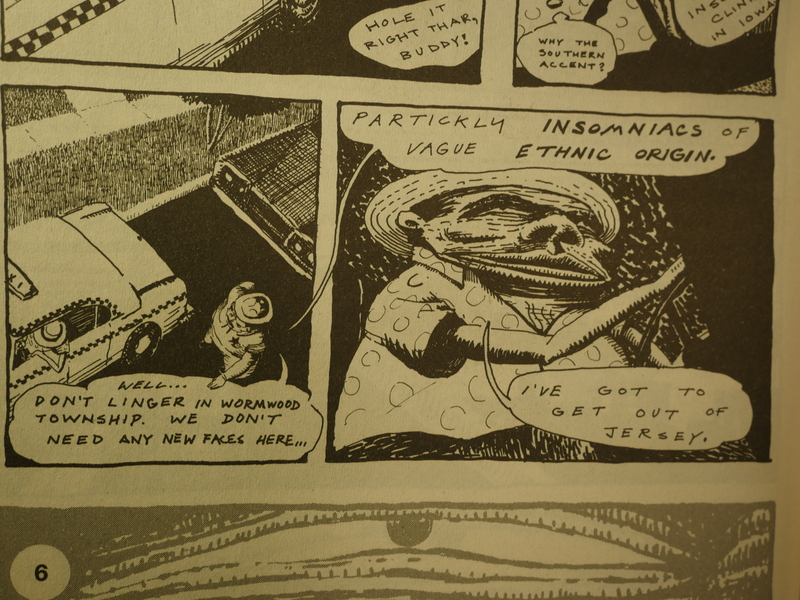 This is a rather odd tale (an insomniac drives to Ohio to attend a sleep clinic) drawn in a rather original fashion, rather. Hm… slightly early 80s-ish New York scratchy style? As you know, here at the Paper Quality Blog, what we’re most concerned about is the paper that comics are printed on. 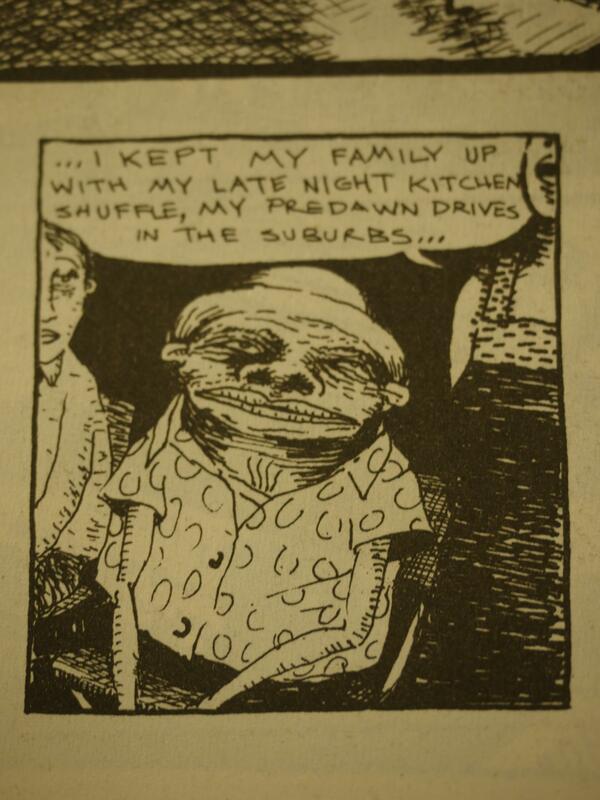 I find it slightly ironic that Fantagraphics were publishing so many comics on newsprint in the early 90s, since they had made a point of tsk, tsk-ing newsprint in the mid-80s. But I guess that’s economics. As far as I can tell, this is Andrew Moran’s only comic book published, but he’s got a name that’s difficult to google. 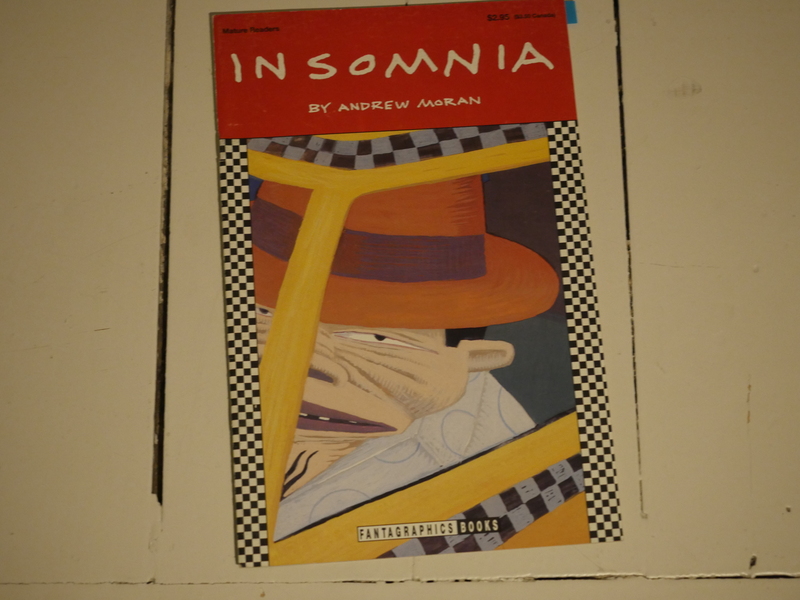 There’s an Andrew Moran that works for the Insomnia Coffee Company, though.